Thanks to the ongoing war between Amazon and Barnes & Noble, today's eBook readers are as cheap as they've ever been. Likewise, they now pack more features than ever: from built-in backlights to 3G connectivity, these readers continue to influence how people consume text. 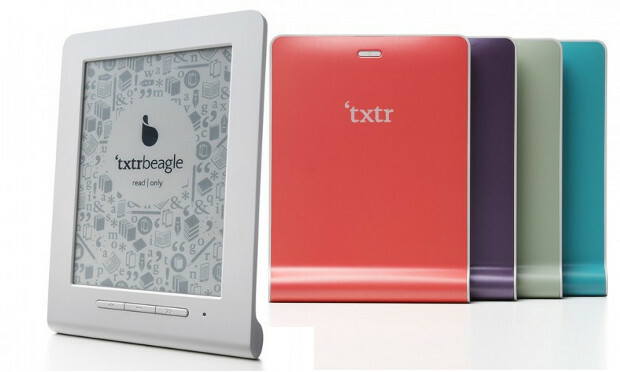 However, a new German company by the name of Txtr is hoping to rattle the industry with its ultra-cheap eBook reader: the Txtr Beagle. Priced at $13 — no, that's not a misprint — it has the potential to become the least-expensive eBook reader to date ... but it comes with some serious compromises. For starters, at 5" it features a much smaller eInk display than many of today's traditional readers. The Kindle Paperwhite by comparison packs a 6" screen. Furthermore, the Beagle isn't touch-sensitive, and it lacks: a backlit display, WiFi, 3G ... and just about every feature we've grown to love in our eBook readers. More importantly, the Beagle can only load eBooks sent from your smartphone via a Bluetooth connection. To transfer books users must launch the Beagle app on their Android smartphone (an iOS app is forthcoming) and zap eBooks via Bluetooth to their Beagle device. But with 4GB of memory, the Beagle can only hold up to five eBooks at a time. Did we mention it runs on two AAA batteries? The Beagle is set to launch in Europe before this holiday season, but Txtr also has plans for a U.S. debut in the works. Engadget reports Txtr is in talks with Sprint and AT&T hoping they'll each offer the device with a small subsidy. Assuming it debuts at $13 with a 2-year smartphone purchase or renewal, is the Txtr Beagle cheap enough to lure you away from your Kindle? Or is this one smartphone accessory you wouldn't mind skipping? Sound off in the comments below. Google Nexus 7 vs. Amazon Kindle Fire HD: Which Tablet Is Worth Your $199? Would You Buy a Windows Tablet If It Cost Just $199? $13???? At that price,it wouldn't have to lure me away from my Kindle. Before e-readers, we carried paperbacks where we didn't want to bring a hard cover book. This is like a paperback Kindle. If it only holds 5 ebooks then I wouldn't be interested at any price, especially with all the other limitations. I have an older ebook that's selling for about $40 used, runs Android apps, works off wifi, can read SD cards up to at least 16 GB, for 2/3 off I'm giving up 99% functionality plus I have to sign a phone contract? Not even tempted. In response to fredfnord: I don't think so. OK, counting the operating system maybe the Txtr would only leave you with room for 15,000 or 20,000 pages of PDFs. A full installation of Android and three different ebook readers, including the official Kindle reader, on either my T-Mobile Comet (Android 2.2) or my "AllWinner" tablet (Android 4.0) consumes only about 2.2 to 2.4 gigs of flash. That leaves plenty of room for hundreds of normal ebooks or dozens of PDF books, and a lot of Android could be stripped out for a device that's only a reader. So storage space would only be an issue if the books actually are images (graphics), as opposed to normal ebooks or PDFs generated from text. That's what dealguy speculates, but I don't see any basis for his speculation in the press release. As soon as I see the "2-year contract" phrase, it's done for me. I guess they'd have better in the developing market though, I doubt that users here will give up all that features just for a potential saving of like $50. The phone-to-reader-via-Bluetooth thing is a marketing gimmick to make an artificial link to cell phones. I think they could have lowered costs even more by leaving out Bluetooth completely and using a full-sized SD card slot. But then a cell phone wouldn't be needed. The $13 cost is entirely deceiving. If I am reading this right, you have to purchase a new cell phone, under a 2-year contract, to get the thing for $13. No thanks, I am happy with my current phone. I think this thing will flop with a loud thud. If it were $13 straight up without having to go to the telecoms to get it maybe. Through the telecoms, no way. No thank you. I love my Kindle Fire and Kindle DX. Even at that price point I have no interest. No, I think you're wrong. If you read the txtr press release attached to the Engadget report, they say it supports "All files supported by the smartphone or PC host application (e.g. 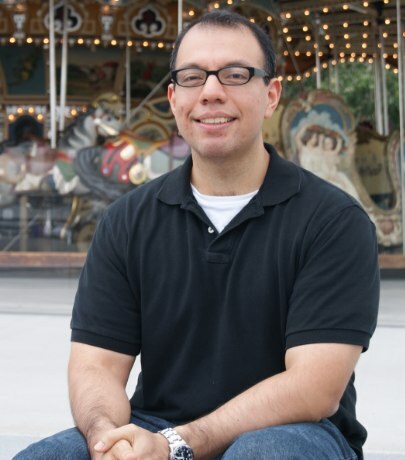 epub, pdf)." Clearly epub is not images, and if they are using "e.g." correctly then they are saying that it also supports mobi, prc, txt, rtf, html and others (or at least all common ebook files without Digital Rights Mangling). I think the problem is that the specs say it has 4GB of memory and can "cache" up to five books. If you take that to mean you can have up to 5 books simultaneously in RAM (so that you can multitask), which is what "cache" ought to mean, it makes sense. But if you think they are using up 4GB of storage to hold only 5 books, you have to think they are intentionally generating some weird graphic format to waste space. It would be very generous to allow 100K per page for a high-quality PDF (600x600 dpi, B&W), and that would still give you about 40,000 pages in 4GB of memory. How much you want to bet that the Beagle stores books as images? I don't know what kind of books you're reading, but I could fit several thousand books in 4 gigs. If I remember correctly, my Kindle Keyboard 3G has 4 gigs of memory on it as well. I probably wouln't give up my Kindle for this device, but if I didn't already have a Kindle I think I'd seriously consider it. It's more portable and the batteries last longer. Plus, it's cheap enough where you don't have to worry about taking it to the beach and getting sand all over it.